Halo 3 Power Drains all the records. Master Chief Reporting Sir: This is not a big shock for the most hyped game,Halo 3 pulled $170m (£84m) in sales in its first 24-hours of invasion of the US. The Microsoft figures show that the game even surpassed the opening day total of the web web movie Spiderman 3. Compared to Halo 2,( $125 million in 24 hours in 2004), the Halo 3 sales are good but there’s a feeling that they should, and could, have been higher. After all, Xbox consoles are more than these numbers,aren't they? 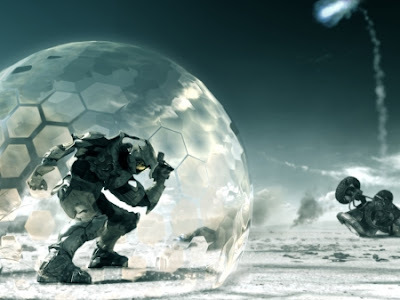 In the first 24-hours, 1.4 million Halo 3 gamers hit Xbox LIVE for some multiplayer fragging, which is a really good.As Microsoft is banking on Halo 3 being its number one cash cow, driving more Xbox 360 sales and praying really hard that its gaming division will make a good amount of profit after 6 long years.Over and out Sir!! Apple also said that it “has discovered” the irreparable damage. Maybe they are just creating some fear amongst those lucky iPhone users who have unlocked their handhelds. "Apple strongly discourages users from installing unauthorized unlocking programs on their iPhones. Users who make unauthorized modifications to the software on their iPhone violate their iPhone software license agreement and void their warranty. 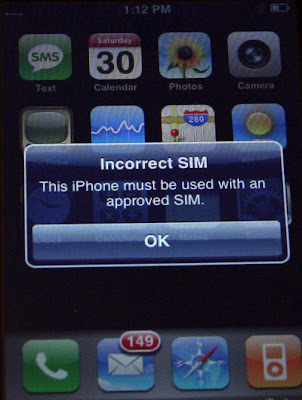 The permanent inability to use an iPhone due to installing unlocking software is not covered under the iPhone’s warranty." Making it more simpler to understand,if your iPhone is unlocked you simply are iwashed away by Apple and you be using your old Phone instead of your precious iPhone.